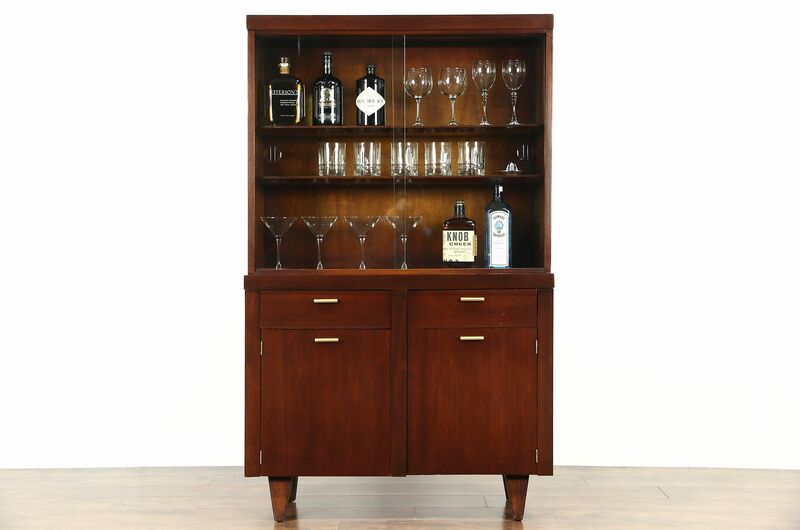 A 1960's vintage Midcentury Modern bar, china or curio display cabinet has sliding glass doors. Crafted of mahogany, the renewed finish is in excellent condition. No makers signature survives on this American made vintage furniture. Drawers have dovetailed solid oak sides, hardware is original. Measurements are 36 1/2" wide, 15" deep and 59" tall.